Cerberus is a fierce three headed dog from Greek mythology. 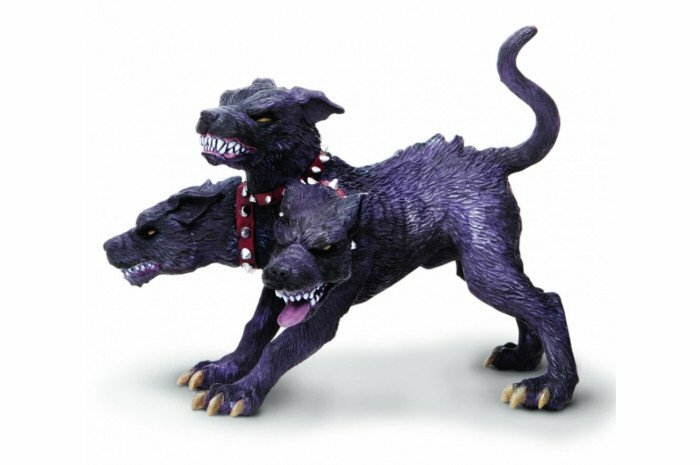 This detailed sand tray miniature will not disappoint with its intricate snarling faces and spiked collars. Measures 4.76" x 3.43" x 3.39"